Caitlin Burke is the fashion director and stylist behind the gorgeous, often whimsical editorials and photo shoots on Moda Operandi’s website. Before joining the e-commerce site founded by Lauren Santo Domingo, Burke worked her way up the fashion chain by starting out in the editorial world — first as an assistant at Cosmopolitan and later as a fashion editor at Hearst, where she styled and conceptualized shoots for other glossies such as Harper’s Bazaar and Esquire. Her Instagram feed frequently shows elegantly scattered clothing and jewelry by her favorite new designers — like a spread of sculptural gold earrings, or a pair of knee-high boots with racing stripes, styled during the day-long shoots she’s usually working on. It’s also not unusual for her to post behind-the-scenes photos of models wearing high-low looks out on the New York City streets. Think: ombre tulle gowns paired with some Nike pool slides. Below, Burke spoke to the Cut about her favorite perfume, the TV series she watched twice, and the secret to throwing a great party. Usually with just a nice handwritten note. I also will hop on a phone call and set up something for me to take them out for dinner or drinks, depending on how fancy it was. Color or no color on your nails? And your go-to color if applicable? I would love to be into color, but unfortunately I use my hands pretty much every day. I always get chips [on my nails] between the safety pins and clips I have to use. On the regular, it’s pretty much no manicure. If I do get it done, I’ll go for a light, pink-ish clear, like Essie in High Maintenance. Five coffee-table books you’d be proud to display? The most recent Loewe book, Past Present Future is amazing. I also like any of the Ryan McGinley books. Tom Ford’s book is just iconic. 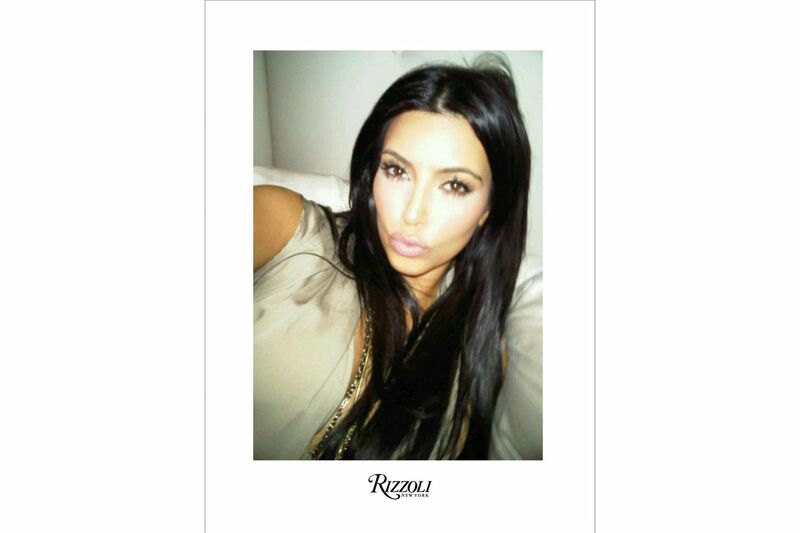 Kim Kardashian’s Selfish book, funnily enough, I have that in my house. It’s like the one that everyone rolls their eyes at, but it’s the one no one can put down. All the Margiela books. Flats, 95 percent of the time. Heels for special events or days we’re not shooting. 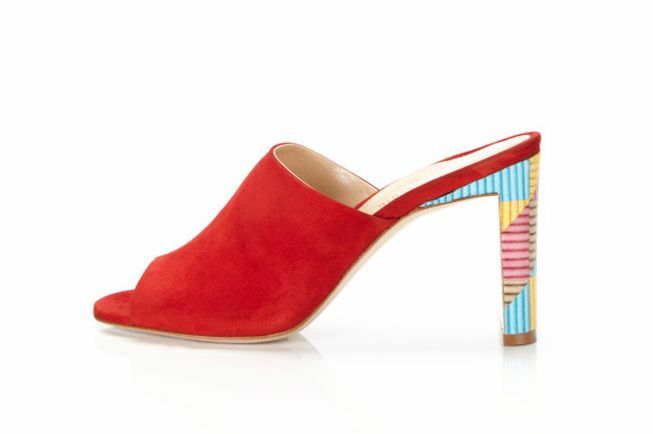 Marni and Marion Parke are my favorite because they’re comfortable. I don’t like to call them statement earrings, because the word “statement jewelry” just reminds me of Luann de Lesseps from The Real Housewives. More like strong, interesting and sculptural earrings. Almost like art pieces. I’ve been really into Patti Smith. I’ve been going to the same girl. Her name is Jamielynn De Leon. I went to her when I first came to New York based on a Yelp review, and I’ve just been following her ever since. I’m dying to go to Africa on a safari. I really am trying to plan a trip to Antarctica soon. One of my goals is to see every continent. The older I get, the less likely it’ll happen, so I’m trying to plan it. I would die for a Mark Cross trunk, although if I ever got one, I’d be afraid to ever actually use it. Olive oil, coconut oil, or face oil? All of the above. I love all oils. My fiancé always jokes when we go to bed, “Oh boy, she’s all slicked up.” I put oil all over myself. 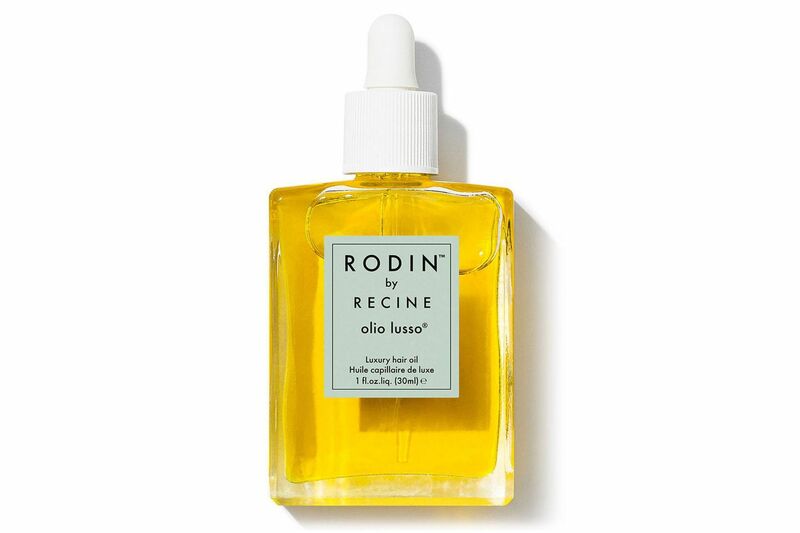 Right now I’m really into Sunday Riley’s Luna oil and I also love the Rodin oil. Coconut oil, because it’s cheaper, is what I use on my body. Decade you’d like to live in and why? I would like to live in the late ’60s: the sweet spot between women’s liberation and pre-internet. But I always think about that movie, Midnight in Paris where everybody always wishes they lived in the past. It’s better to just kind of enjoy right now. I love a theme party. You can’t not have fun if you’re in a costume. There was a Marc Jacobs Fashion Week invite that was insane, so I sent that out as a theme one time. 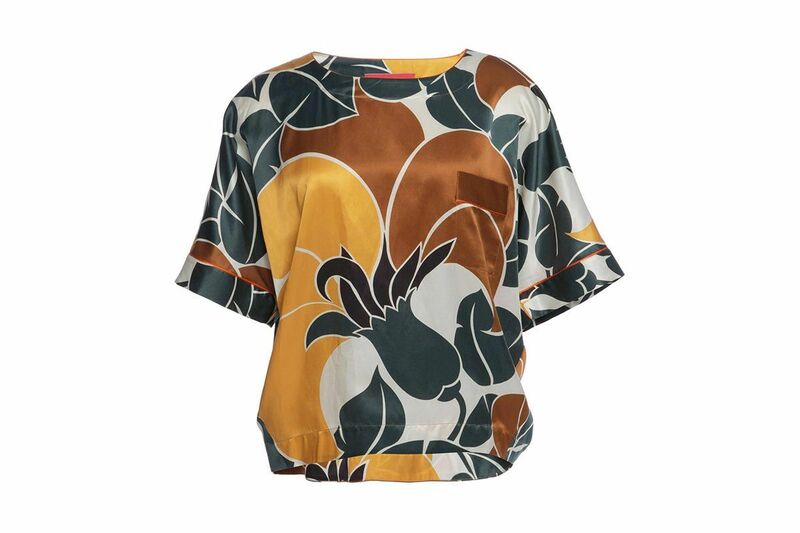 The past few years, I’ve really honed in on the silhouettes and styles that really flatter, and I stick to those codes. Before, I really fell victim to trends easily. My style has stayed the same, which is a mix of masculine and feminine, high-low, and I’ve always loved quirky accessories. I watch pretty much everything on Bravo, which is horrible but I love it. And Australian licorice is like crack and I love it. I love c__l__o, I find so many brands and talent on there. I love following my favorite photographers: Charlotte Wales, Harley Weir and I also love Isamaya Ffrench, the makeup artist. She is doing amazing things with beauty. She’s almost like the fashion version of Cindy Sherman. She can transform herself into different characters. The Defiant Ones on HBO. It’s so good. I watched it twice in a row, because there’s so much good career and life advice packed into one show. Brock Collection makes the best jeans, hands down. Everyone at our company owns a pair. I really like ATM’s crewneck tees, as well as Petit Bateau’s great ’70s tees. They’re kind of like a pajama-slash-ready-to-wear line, but For Restless Sleepers makes these amazing sets that are too nice to wear. I love their sets. They’re great for traveling. I usually just buy deli flowers, like hydrangeas. But outside real life, anything from Brrch floral would be a dream. Anything they do is just so beautiful. I’d have those every day. I love Diptyque. They make L’Ombre dans L’Eau, it means the ‘shadow on the water’ and it smells just like the candle. Anytime I wear it, someone’s like, ‘Is someone burning a candle?’ I love that in the winter, and in the summer I love Jo Malone’s Lime Basil & Mandarin scent. It’s just so fresh. Usually I wear more lipstick, but if I do wear a balm. 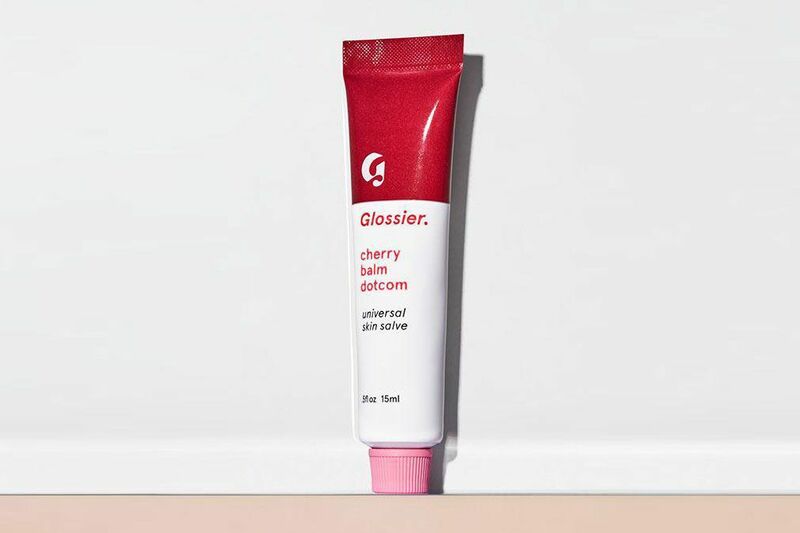 I’ve been into Glossier’s Balm Dot Com in cherry. It has a very nice, pretty tint.